This new 120 bed facility has been designed to replace existing Glasgow City Council care facilities which have been superseded by current care standards. 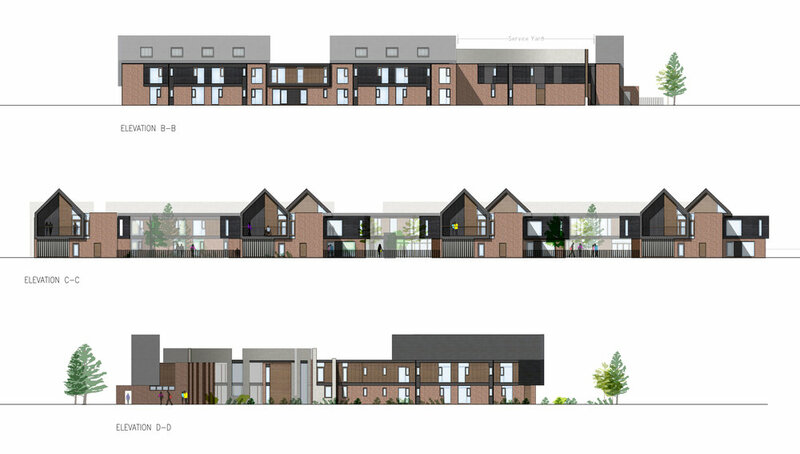 Glasgow City Council’s brief required a facility which would meet or exceed; all current Care Commission requirements, all current best practice guidance for dementia care, and which would set a new standard for the quality of all future care accommodation built in the city. The building is located at the centre of the Commonwealth Games Village masterplan and was designed to integrate fully with the new village community, and meet the council’s desire for a ‘non-institutional’ building, by adopting the scale, massing, built forms, and materiality of the surrounding new housing. The building also adopts many of the same structural and environmental strategies as used in the wider village, and will as a result, achieve a BREEAM Excellent rating.